I got an email about 4pm saying there were two tickets for me if I wanted them, so I quickly messaged the Bulgarian asking if he’d mind if our evenings plans changed. 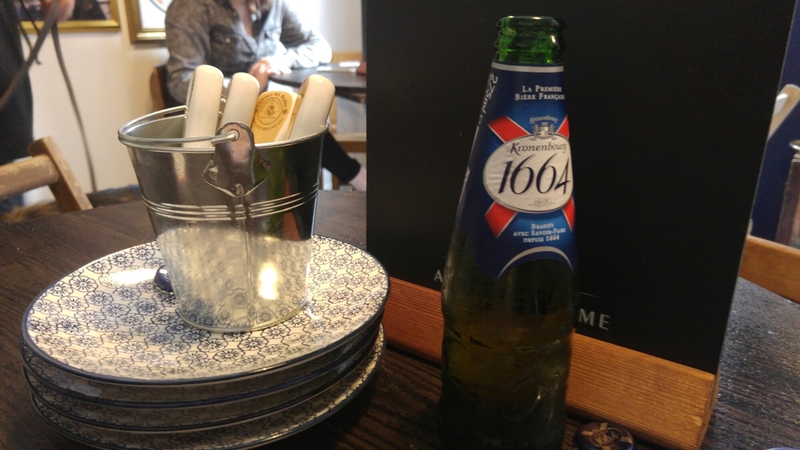 I had no idea what to expect, but the idea was that it was a pop up bar by Kronenbourg beer and they were using dogs to serve the beer. 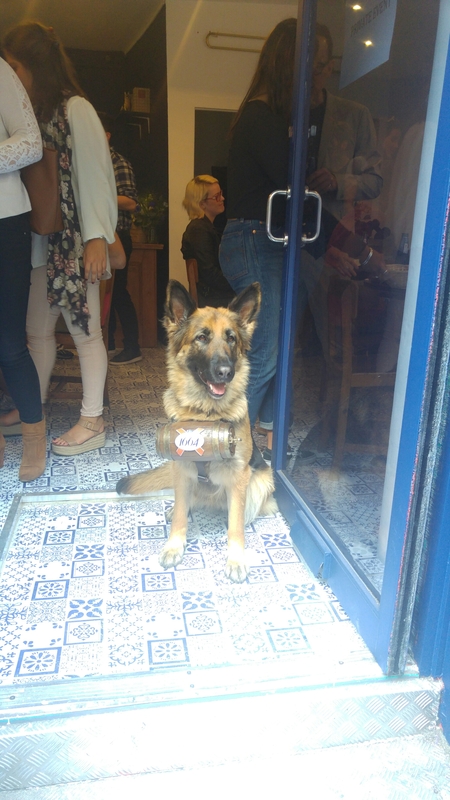 The dogs were so lovely, and had little barrels around their necks that held a small bottle of beer. 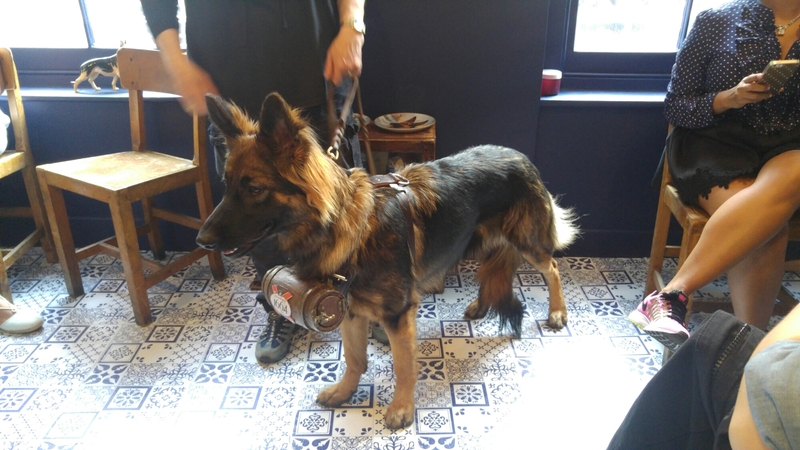 The dogs were led over to the people, who then removed the beer from the barrel. To be honest, I was more interested in petting the dogs than having the beer. It was really lovely, until The Bulgarian pointed out how antsy the dogs looked. They were big, beautiful dogs who quite clearly would rather be taken out for a walk or let wander around by themselves. They were kept on a lead and led around by people who had to keep telling the dogs to sit. 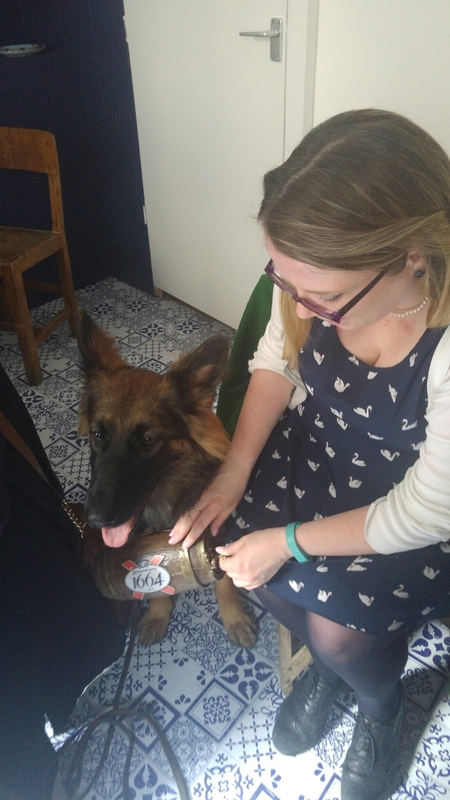 As a novelty, it was nice to have dogs in a bar, but I think having to keep insisting they sit and leading them around from person to person wasn’t really fair to these animals. Maybe a better idea would be to have the people serve the beer and the dogs wander around freely to be petted. It’s not the first venue that has used animals as a selling point, ie. the cat cafe in Shoreditch, but the difference there is that the cats are free to walk around as they please. This just felt a little exploitative, as lovely as it was to see the dogs. It kind of ended the evening on a sour note, and left us feeling a little sad for the dogs. Not sure this is something that could feasibly take off as a permanent fixture.